When they are not busy terrorising villagers with their fire-breathing antics, dragons are usually collecting a horde of gold and guarding it from brave knights and the odd Hobbit. That’s what the main character from the Golden Dragon online pokie is up to, but players can nick some of the pile by spinning up some jackpot wins of up to 5000x the bet amount, along with plenty of other smaller prizes in this 3-reel, 5-line game. Like many pokies of this type, the actual gameplay is pretty basic and in fact identical to a number of others from the same developer, but Microgaming have loads of experience in producing titles that appeal to a broad range of players, and if the looks and theme are suitable, then it’s a good one to go for. Just don’t expect bonus rounds or lots of different symbols, as this is a straightforward spin and win type of game. The way it’s all laid out is very much standard for Microgaming, with an image of the dragon on top of his pile of treasures and the reels above, while the payout schedule and details of how the lines work to bring in the jackpot prizes take up the other side of the screen. There are control buttons below and using these, players are able to adjust the amount staked on a spin from 0.25 per line, to a maximum of 5.00 each for a bet of up to 25.00 in total. With all lines activated, players will qualify for all winning combinations, plus they get a shot at the jackpot prize. The actual symbols are quite limited, mostly consisting of the bar icons that appear in so many similar games. Any combination of bars stopping across an active line will pay out 4x the line stake, while the single bar icon is worth 10x for the same result. 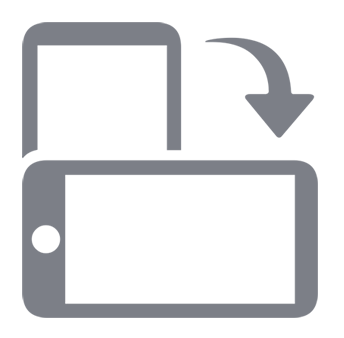 Double bars reward the players with 40x their line bet and the triple bar symbol has a value of 60x. Next up is a sword and shield symbol, and that’s worth 80x the bet per line when it lands across one, but it’s the dragon that really counts in this game, as it’s both a wild symbol and the one that pays out the jackpot prizes. The wild part of this means that it will act as any other symbol if that means it will complete a winning line, although unlike many other games where the resulting payout will be multiplied, this dragon is not so generous and pays out the standard value of the symbols involved. The dragon does, however, treat players to the biggest wins when it lands right across an activated line. The first line runs through the middle of the reels, and filling this with dragons will equal a prize of 1000x the line bet, while the second that goes across the top of them will be worth 1500x. With prizes of 2000x and 2500x for the third and fourth lines respectively, you would expect a row of dragons along the fifth line that runs from bottom left to top right to be worth 3000x, but this is where the jackpot comes into effect and players receive a nice 5000x win for this particular combination. A Heap of Gold or a Pile of Something Else? 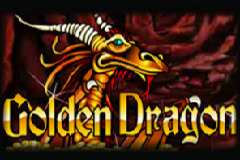 As long as players are not expecting fancy bonus rounds and stunning animations, Golden Dragon is a perfectly good example of the 3 reel pokies that Microgaming are famed for. It does nothing wrong, it’s just a bit, well, basic. Part of this could be due to the relative scarcity of symbols, with bars making up the vast majority of them, so when the game is being played, there’s often nothing on the reels to show that this is about a dragon. However, when this and the shield symbol finally turn up in a line, that’s all forgiven, as the rewards are really quite generous.